The second 'Mayo International Choral Festival' takes place May 23rd-26th. 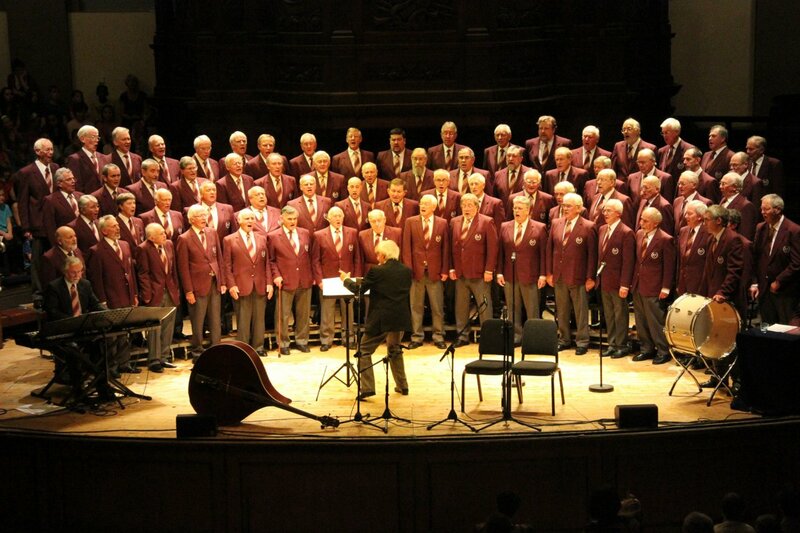 Competitions will take place in several venues around Castlebar on May 25th, with choral concerts taking place throughout Mayo all that weekend. 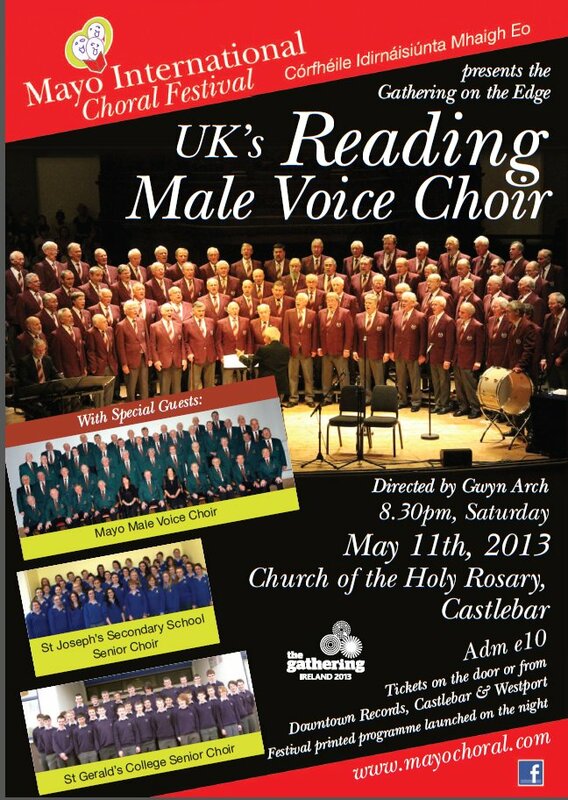 To whet your appetite prior to the festival, in conjunction with the Gathering 2013, the renowned UK Reading Male Voice Choir, under the direction of Gwyn Arch, along with local choirs, the Mayo Male Voice Choir, St. Joseph's Secondary School Senior Choir and St. Gerald's College Senior Choir will perform in concert on Saturday, May 11th at 8.30pm in The Church of the Holy Rosary Castlebar. This very special night promises to be a treat for all music lovers! Tickets available in Downtown Records Castlebar & Westport and on the door. Admission €16 / €14 (concessions). These choirs will have an early start next day to rehearse for another wonderful event! In conjunction with the Bealtaine National Festival, Mayo International Choral Festival are delighted to be involved with the 'Dawn Chorus' event on May 26th at 8am at Lough Lannagh Car Park, Castlebar. The Dawn Chorus is a wonderful initiative celebrating young and old, singers and smilers who will gather together to greet the dawn sunrise with music and mirth! It is a relaxed, informal event open to all. No choral experience necessary - just a sense of fun! By the way, should the weather be unkind, rehearsals and event will take place in Macalla Hall, Lough Lannagh Holiday Village. So for all you early risers (or night owls!) come and join us at this memorable event which is kindly sponsored by The Galway Roast, Castlebar. Rehearsals will take place Sunday 5th, 12th and 19th May at 8am in Lough Lannagh.